As part of the Ningaloo Outlook project, a strategic research partnership between CSIRO and BHP Billiton in Western Australia, we recently caught 25 green turtles and 1 hawksbill turtle. 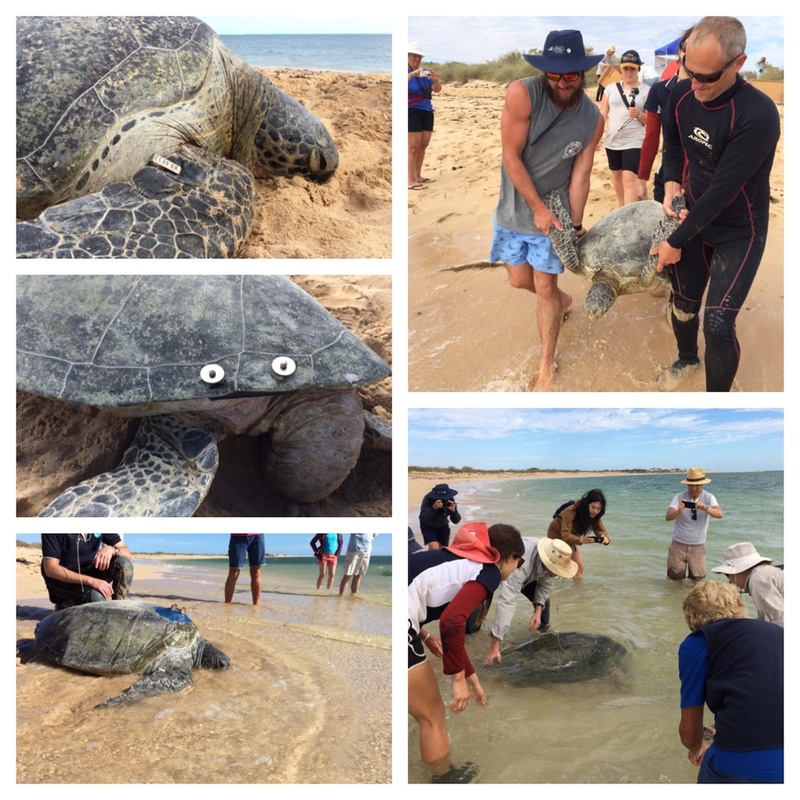 To keep a track of the turtles within the Ningaloo Marine Park all turtles were flipper tagged, 15 were fitted with acoustic tags and we deployed 6 satellite tags! YOU too can keep a track of the tagged turtles right from your computer at http://www.seaturtle.org/tracking. Our research is helped by the amazing volunteers and members of the Exmouth community. Thank you so much to our wonderful volunteers, what a turtle of a time we had together! For more information about this project see https://research.csiro.au/ningaloo and I will be sharing the ‘tracks’ of the tagged turtles here, via my alter ego Dr Suzie Starfish (https://www.facebook.com/drsuziestarfish/) and @suepillans on Twitter and Instagram. Drawing out the Science at School! “Dr Suzie Starfish was fantastic with the students during her visit. 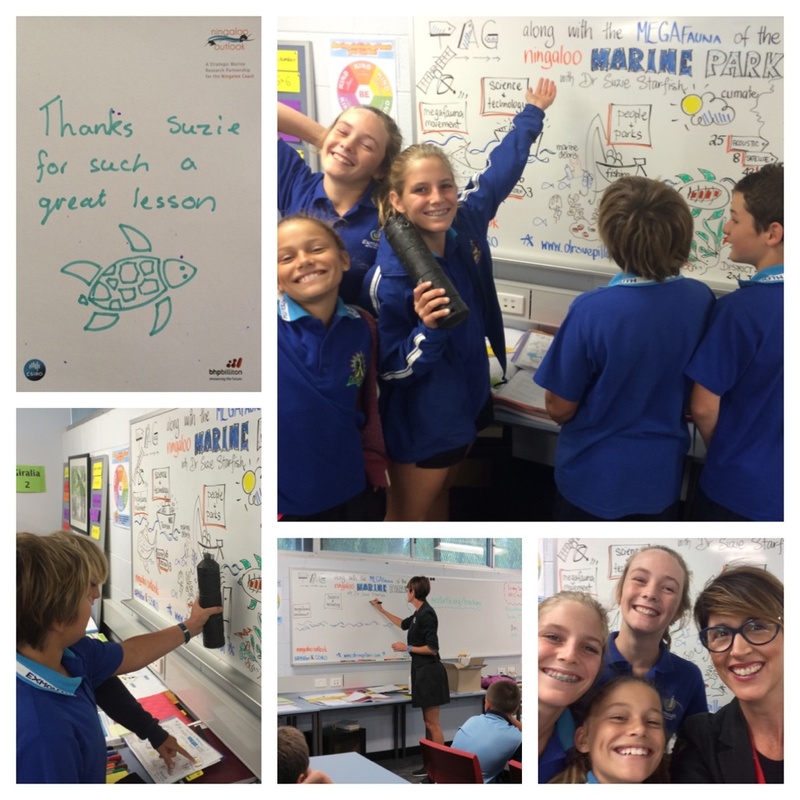 She brought out all the knowledge that the kids have about Ningaloo and the Marine Environment on our doorstep. She also confirmed the environmental protection points which are so important for the students to know“. You can find out more about how I ‘picture ideas’ with schools via my website at https://drsuepillans.com/education/ and as Dr Suzie Starfish on Facebook (https://www.facebook.com/drsuziestarfish/) and now @suepillans on Twitter and Instagram! Drawing out industry issues & ideas! 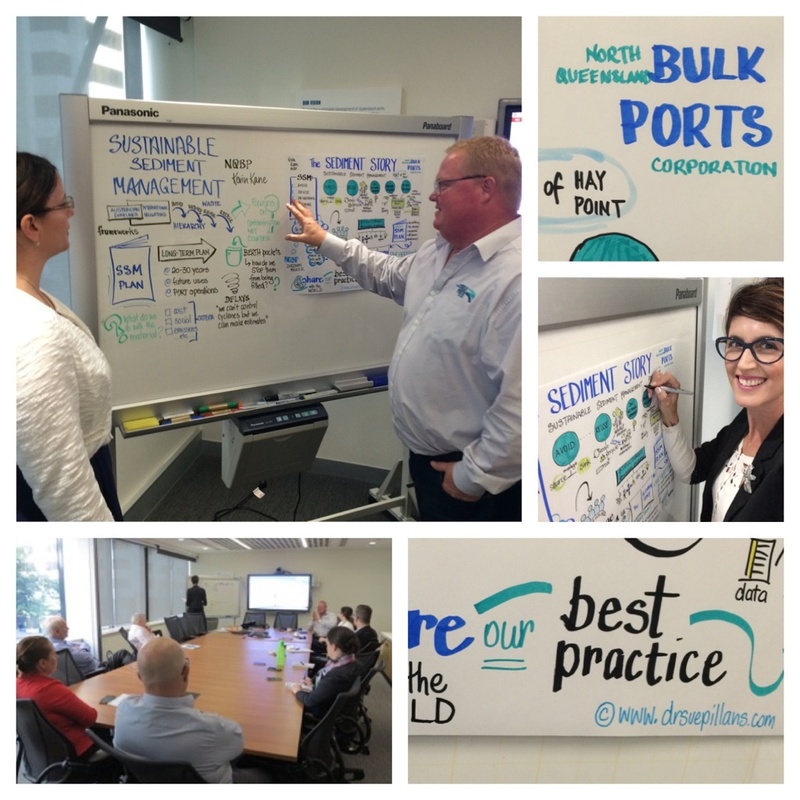 As the Graphic Recorder for the Cane Changer Project, a partnership between Behaviour Innovation Pty Ltd, CANEGROWERS (industry peak body) and the Queensland Government, it was my pleasure today to ‘picture the ideas’ of the CANEGROWERS central office team. 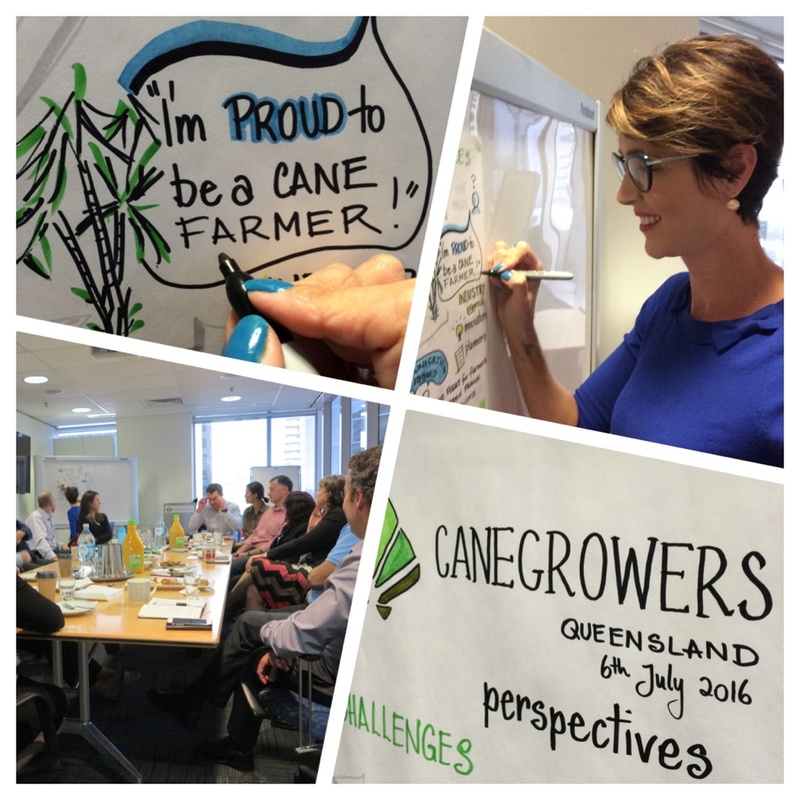 It is always a privilege to be part of team discussions, particularly when teams like CANEGROWERS represent the sugarcane growers of Queensland. Project Cane Changer is designed to value and recognise Queensland’s sugar cane farmers for their role as custodians of the land and their ongoing efforts to protect the Great Barrier Reef. For more cane changer stories stay tuned here, as Dr Suzie Starfish on Facebook (https://www.facebook.com/drsuziestarfish/) and @suepillans on Twitter and Instagram.